Beautiful home! Fishing off the back dock. Close to everything. We had a great time in this beautiful home. Big enough for everyone to have their own space. Kitchen was amazing but since we made 2 of 3 meals a day the frying pans were a challenge to cook in. It was so nice to wake up and find my husband and son fishing off the back dock. We catched and released a trout and several catfish. The indoor pool was so fun to go to every night especially because of the diving board. Our timing was great because the weather was perfect and the summer crowds had already left. Very memorable family time. This home is perfect for a family get-away. Large beautiful kitchen and family room. The back deck sits right on the water. Very quiet and surreal setting. I loved my mornings having coffee watching the ducks pass by. Large side yard with grass and a hot tub. Close to walking and biking trails. We would definitely stay here in the future. would for sure stay here again good location very nicely decorated. The property had a great location and good neighborhood. Unfortunately, we had an insect problem. There were carpenter ants everywhere. I contacted the rental company immediately. They did respond appropriately but it was the last thing we wanted to deal with. I was disappointed. There was no pantry so the seasonings and available condiments that were out had ants crawling on them. We had to store our things in the fridge and microwave only. The ants were even on the couch. On the day of departure there was a huge beetle crawling on the kitchen floor. So as far as cleanliness I can only say other than it smelling like bleach it didn’t meet my expectations. Very limited supplies. There wasn’t even enough coffee cups for 8 people. 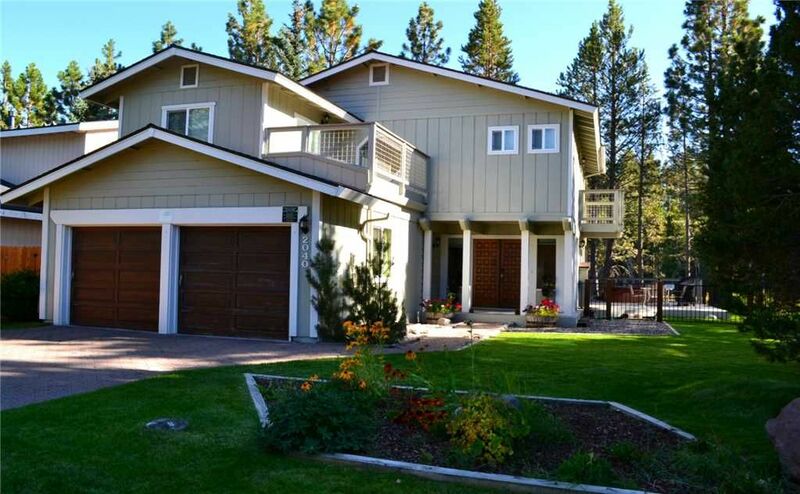 I’ve rented multiple properties in both South and North Lake Tahoe. I would not recommend this one. This house was perfect for my family vacation. This home is modern. House has two natural gas fire places. The kitchen has large open plan and it’s fabulous. The master bathroom has heated floors, it was amazing for those cold mornings. My family and I will definitely be staying here in future visits. Great place to stay! Conveniently located, spacious house, clean and up to date!